We have really been enjoying watching the leaves turn color, so we were not too disappointed to have the chance to drive to Oregon last weekend. 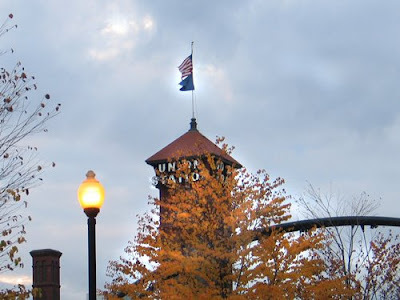 Below is a picture of the train station in Portland, Oregon. We spent the evening across the street, visiting our friends, Mark and Letta Cox. 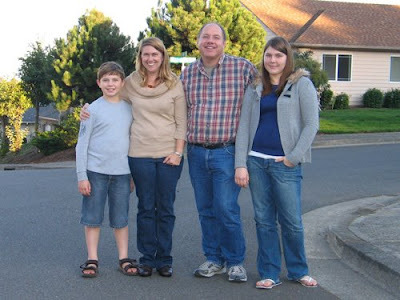 Mark and Letta went to language school with us in the Philippines and then served in Manila. The next day we went to Hillside, Oregon and helped my brother Tom and his family pack up their house for a move to Salem. 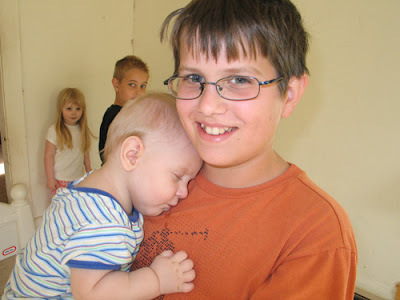 Below is a picture of Thomas holding his cousin Henry. We also headed for Salem, but first we had a planned a rendezvous with Tim, Pam, Rachel, and Nathaniel Baker. The Bakers lived in Northern Luzon with us and served with the Southern Baptist Mission team. We had lunch together and talked about the good old days. For example, the time that I was helping Tim glue down his floor and a typhoon was passing by and I went out to try to find some missing kids and didn't come back for hours because my vehicle broke down and I was hiking and Tim went to rescue me. Tim is now pastoring a church in Toledo, Or. After lunch with the Bakers, we went over to Tom and Amanda's new house and helped unload. 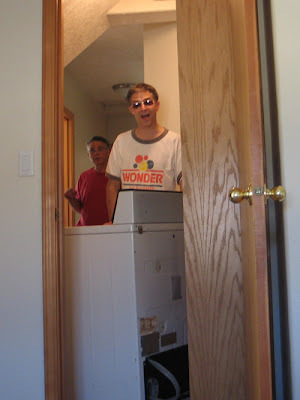 As you can see from my shirt, I think I am Wonder Man when it comes to moving. I told them I could get that dryer through the doorway...and anyway, woodwork and plaster walls can be replaced. 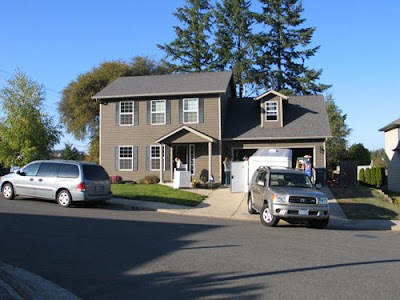 Below is Tom's new house. I'm sure it will be a real blessing for them to live 10 minutes from where Tom works inspecting construction materials.